How do you feel about brands that use the inclusive phrase to introduce size ranges that do not span the full plus size size range? We break this phrase & trend down and share our thoughts. Over the last years, we’ve seen a lot of announcements from brands, who are just so incredibly proud to share that they’re “EXTENDING TO PLUS SIZES!! !” There’s lots of exclamation points and self-congratulatory copy, but the “extended sizing” stops at a 16. Similarly, there are brands (or celebrity/blogger capsule collections with brands), that spend months hyping up their “inclusive” line that’s about to drop, and well, when it does – it’s 2-3 pieces that come in plus, in a collection of ~20 garments. What’s so frustrating about all of this, is that this story keeps playing over and over again. Brands show up, and expect to capitalize on the billion dollar plus market, and then are soundly bopped on the nose by plus size customers who are tired of this game. We see plus size shoppers sharing their disappointment and outright ire on public social media channels, private and secret Facebook groups, and in 1:1 texting conversations. Because they seem to be pouring a lot of money into bragging about their extended sizes or inclusive line, and it seems that money could be better spent actually, you know, making clothes in additional sizes. Oh, honey. How many brands have we seen announce that they’ve “added plus sizes” only to see that they’ve added an XL (maybe an XXL, if we’re lucky), which brings their line to a US size 14? 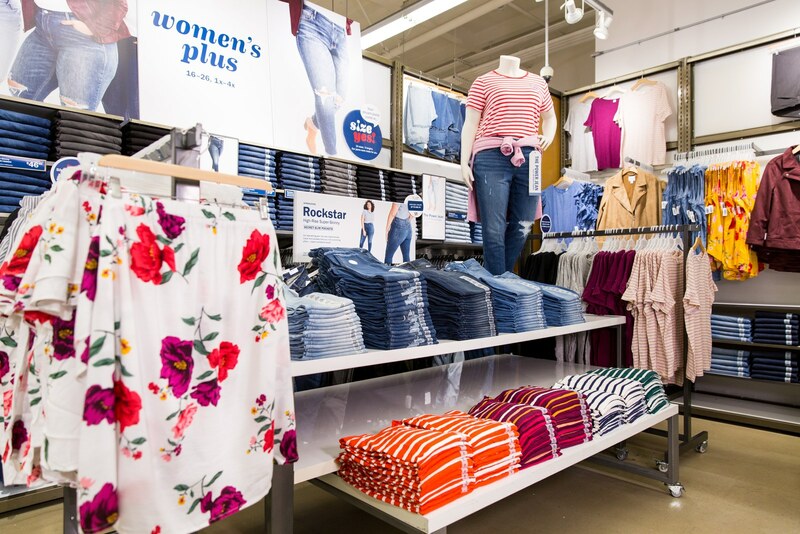 When a brand shares that it is “now offering plus sizes,” plus size shoppers expect to see the brand go at least to a US size 20. Personally, I expect to see it go up to a US size 24. As a brand, you have one chance to capture the attention and loyalty of the plus size market. If you make a big to-do about offering plus, and we go to your website and see that you go up to a size 14 – we’re going to exit that window, maybe sound off on Twitter – but, we will be very unlikely to show show up the next time you advertise adding additional sizes. That way, people who go to your website based on the announcement can actually buy from your new range. It’s not a good look to see a gigantic spike in online traffic, and low conversion, because people show up expecting to see a full size range – and leave with nothing, because you don’t have their size. If your brand doesn’t offer ALL pieces in the FULL size range you’re advertising, it’s not inclusive. This story has played out so many times, it’s sad. We most recently with the Blair Eadie x Nordstrom collab, where almost none of the pieces actually came in plus size. The number of brands offering plus sizes, and the number of plus size brands launching really shows – we don’t have to put up with castoffs. If you’re not going to include us, that’s your mistake. You’re leaving money (and authentic excitement and free press) on the table. As above, shoppers expect to see at least a an extension of up to a size 20, and, honestly, a size 24 is the best way to avoid a PR nightmare/Twitter hellscape. The plus size community will give you feedback, across all social media platforms. We widely share brands we love, complimenting fit, color choice and style. Aaaaand we widely share brands that are offensive in their marketing, discussing feminism, access and inclusion. 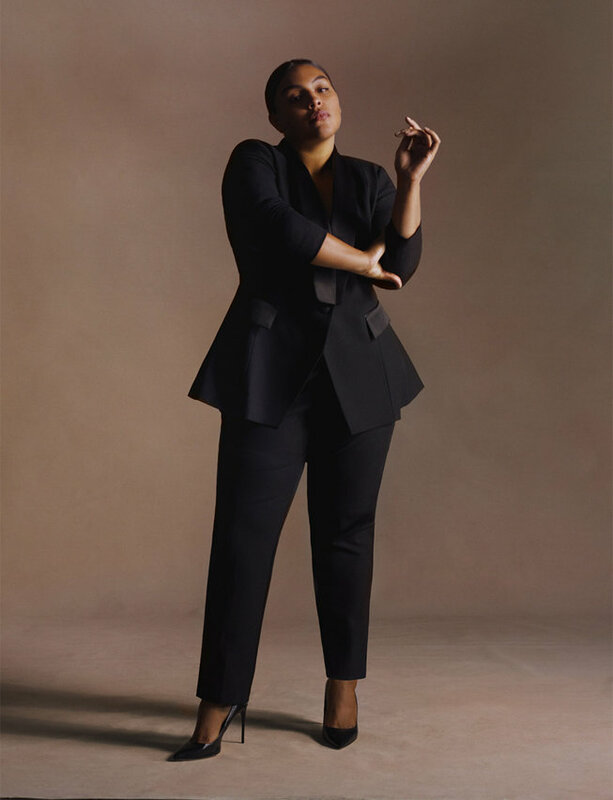 Jason Wu x Eloquii and Draper James x Eloquii both went up to a size 28. Universal Standard x J. Crew goes up to a 5X. People come in a variety of sizes. The “plus size community” is an actual community. As a size 20 person, when I see a brand launch and use the word “inclusive,” I check to see if my size 24+ besties can buy from there. Excluding them is a form of bullying, and I don’t want to shop places where my friends can’t shop. I loved pieces from the recent ModCloth x Anna Sui collaboration. But I decided to empty my cart, after seeing a teary Facebook status a friend shared about not being able to buy from it. And, y’all, I LOVE Anna Sui. It’s a tough spot, because I want to show brands like Anna Sui that we want their clothes in plus, but I also don’t want to buy pieces and leave my friends out. Not all my purchasing decisions are made based off of a brand going up to a size 30. But I know I’m not the only one who has sadly closed a window because of a cap on sizes. To read more about why it’s important to go past a size 24, check out this article. And, honestly, with brands like Universal Standard launching an offering up to a size 40, the bar has been raised. If that’s the case, be transparent about it. CHROMAT, a luxury brand, has clearly communicated its efforts to add plus sizes. 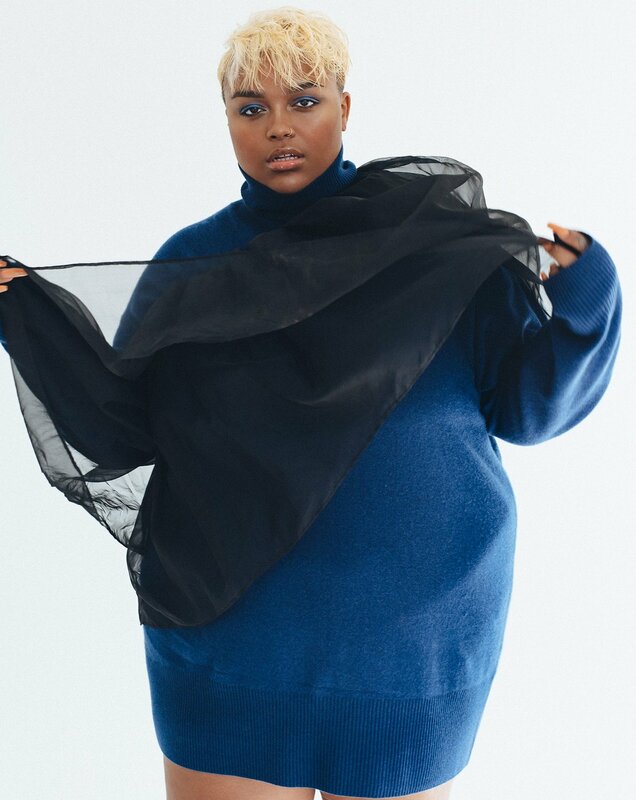 From sharing new plus size dressforms, to putting out a call for plus size customers to book fit tests for their size expansion, the brand has created an almost textbook guide to expanding a size range. I hope that if you’re in a decision-making position at a brand that’s trying to expand its sizing, or if you’re trying to launch an inclusive line, you implement these strategies. Acquire new brand-loyal customers through truly inclusive fashion. But we would love to know YOUR thoughts. How do you feel about this topic? Is this something that rubs you the wrong way? Are you happy with where plus size fashion is? And, making plus sizes only available online is not inclusive, Old Navy, although that’s where I have to go. Regular sizes used to be through 16, with plus sizes starting at 18. To add XL and call it plus sized means you have already been selling to only a third of the population. Do people really wonder why, as a plus sized woman, I shop almost exclusively online? Don’t retailers understand why their brick and mortar stores are going under? Haute couture may be small sizes, but Main Street is size 14 and up. We don’t shop where we can’t find our size. This was a great article. I loathe when I feel things are only done for press with regards to inclusivity. These are some great thoughts! You are soooo not alone here!!! One of these points seems a bit like shooting the movement in the foot. If plus sizes don’t get bought “because i saw a crying video of a girl who couldn’t fit in the line so i emptied my shopping cart too” theb plus sizes they sre offering aren’t selling and theyll have no reason to consider further expansion in the future. I read that point in Brianne’s post and that resonated with me too… we all show solidarity in different ways, I suppose. It is also part of the reason when we do roundups, that I try to make sure we feature a variety of size ranges and to list the ranges in the posts! Honestly it is frustrating. I initially get excited for a new collection to only see the biggest size offered is 20 or sometimes 24. Yes, some brands do come back with extended sizes later but then you have to deal with if it is going be fit true to size. The interaction with the consumer as you launch as plus size line is so crucial and also just being honest when it comes to exactly how far you are expanding. If you are only going to an 18, just say it and stop wasting ppls time. Sizes larger than 18 will still come and check it out cause ‘fit’ matters as well as sizes.